It is that time of year when we rely heavily upon our local farmers and their roadside produce stands and an easy choice for the cooking club’s Fresh From the Fields theme, tomatoes! 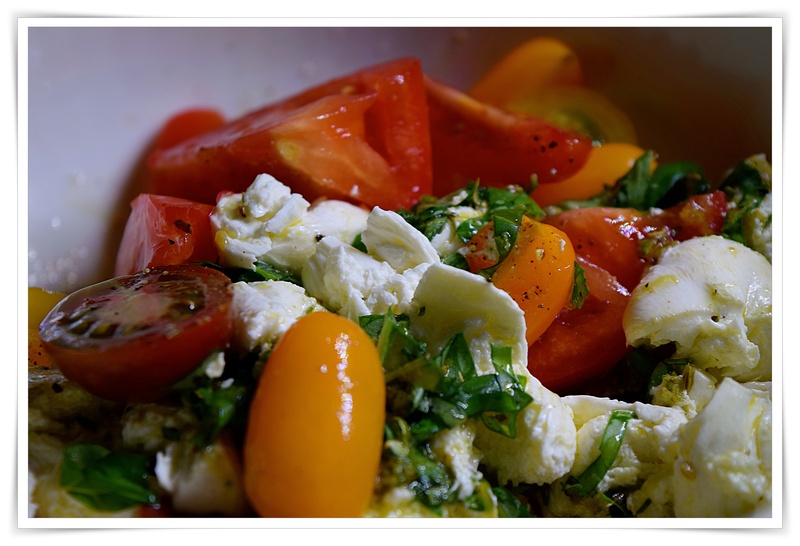 Such a great assortment so I planned a simple salad that my granddaughter could make, Yotam Ottolenghi’s marinated mozzarella and tomato salad slightly adapted from Plenty, what a surprise addition just a little fennel seed makes and lemon zest makes, a real keeper recipe. I have window boxes full of fresh herbs along with herbs from an aero garden so I didn’t need to shop for the ones called for in the recipe. I didn’t use grapeseed oil and added canola in its place. Toss the fennel seeds in a small frying pan over medium heat and dry-roast until they begin to pop. Transfer to a mortar and pestle and crush roughly. Place the crushed seeds in a small bowl and add the remaining marinade ingredients. Break the mozzarella roughly with your hands. Smear it with the marinade and set aside for 15 to 30 minutes. 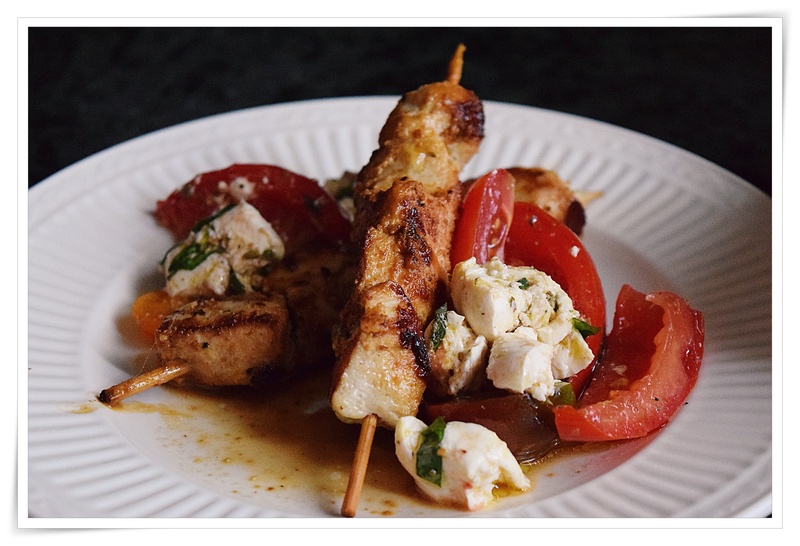 To serve, cut the tomatoes into wedges and plate along with the marinated mozzarella. Drizzle with extra olive oil and serve. Ottolenghi, Yotam (2011-07-22). Plenty: Vibrant Recipes from London’s Ottolenghi (p. 126). Chronicle Books LLC. Kindle Edition.